As a small program, we offer you the opportunity to work closely with our faculty in a dynamic and engaged learning environment, mentorship in research and teaching, and opportunities for professional development. Our faculty study a diverse array of phenomena, including, but not limited to, the following areas of specialization. Faculty working in this area focus on issues of current global importance, including: armed conflicts and military justice; state security; terrorism; genocide; crimes against humanity and war crimes; cybercrime; charter issues; human rights and criminal justice; justice and foreign policy; transnational organized crime; development of permanent international criminal justice agencies; and international cooperation in fighting domestic and global terrorism. The specialization focuses on the social construction of crime, victimization, criminal law, policing, and models of justice in various entertainment and new media forms. This includes the methods used to analyze the effects of media constructions of crime issues on criminal justice policy. Students working with faculty in this area may also examine other topics relevant to the role of media in the criminal justice system, including pre-trial publicity, surveillance, cyber-stalking, obscenity and censorship, and digital piracy. Faculty in this area are experts in critically analyzing the intersections between culture, crime and policy. Their subjects of study include victimization, legal and social policy aimed at crime prevention and punishment, youth crime, psychology of crime, cultural criminology, and restorative justice. 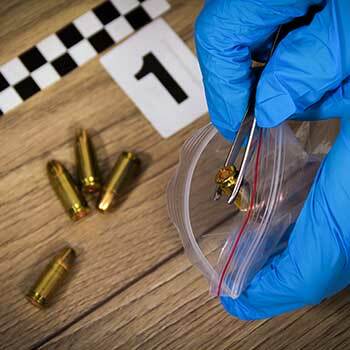 A four-year honours undergraduate degree (or equivalent) in criminology or related program. A minimum B+ average in your final year of study and a cumulative average of at least B+ in all criminology courses. Our students graduate equipped with the research and critical thinking skills required to pursue doctoral studies or to begin a career as a social researcher in government or private sectors. Recent graduates hold positions in the Federal Government, Victim Witness Assistance with the Department of Justice, Canadian Armed Forces, and United Nations. Many of our graduates are pursuing doctoral studies (University of Toronto, University of Ottawa, University of Guelph, and University of Waterloo).